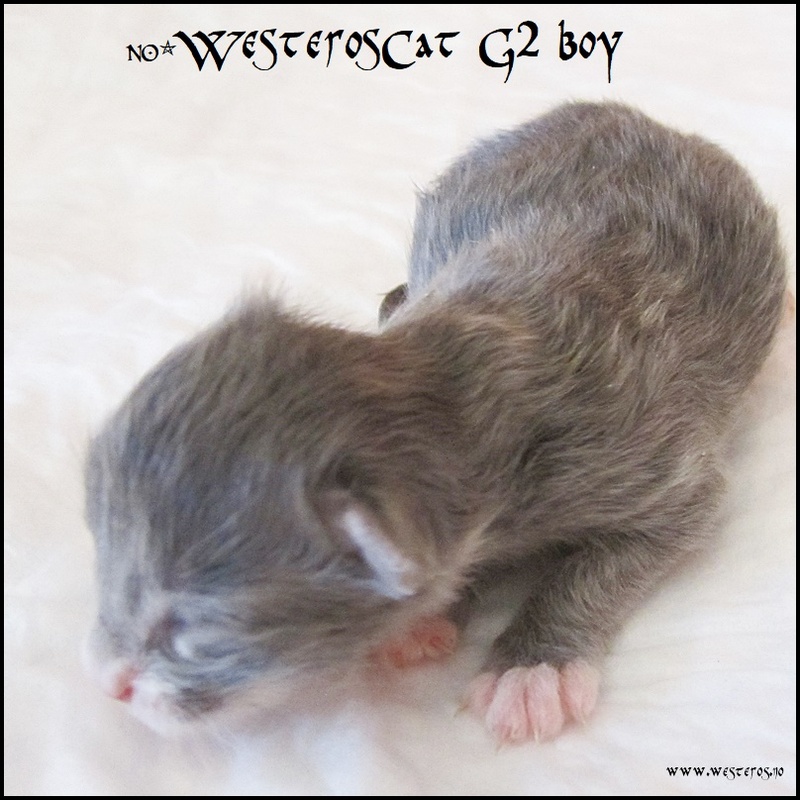 The second born in this litter is a strong boy, larger than his brother. 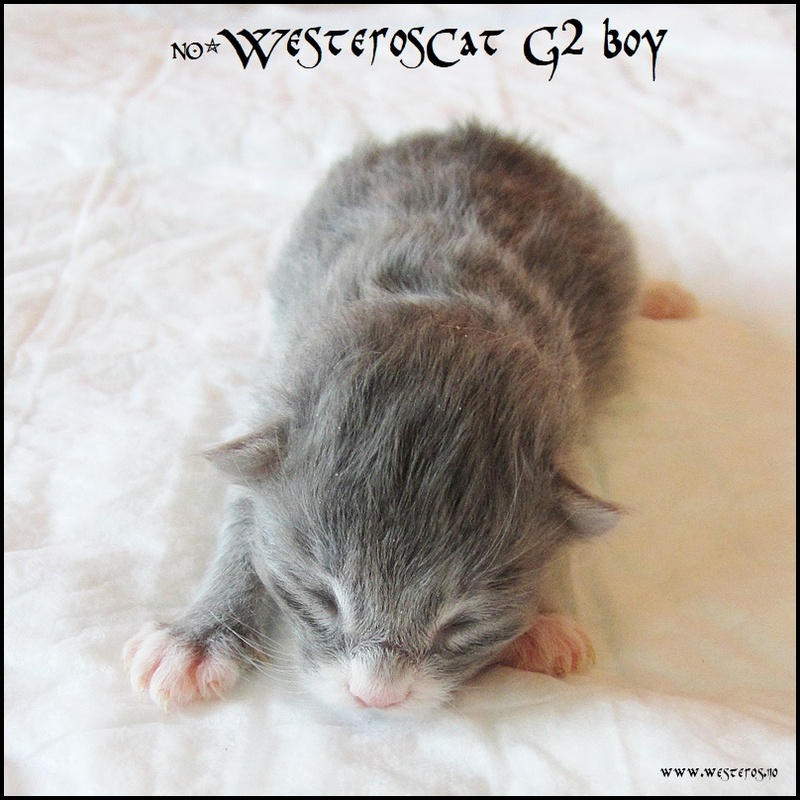 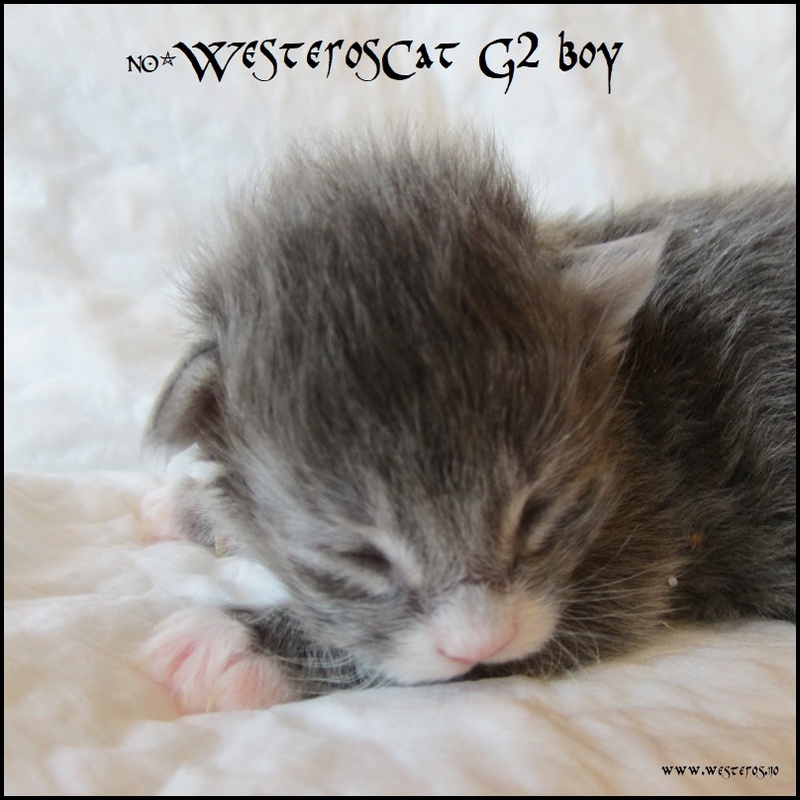 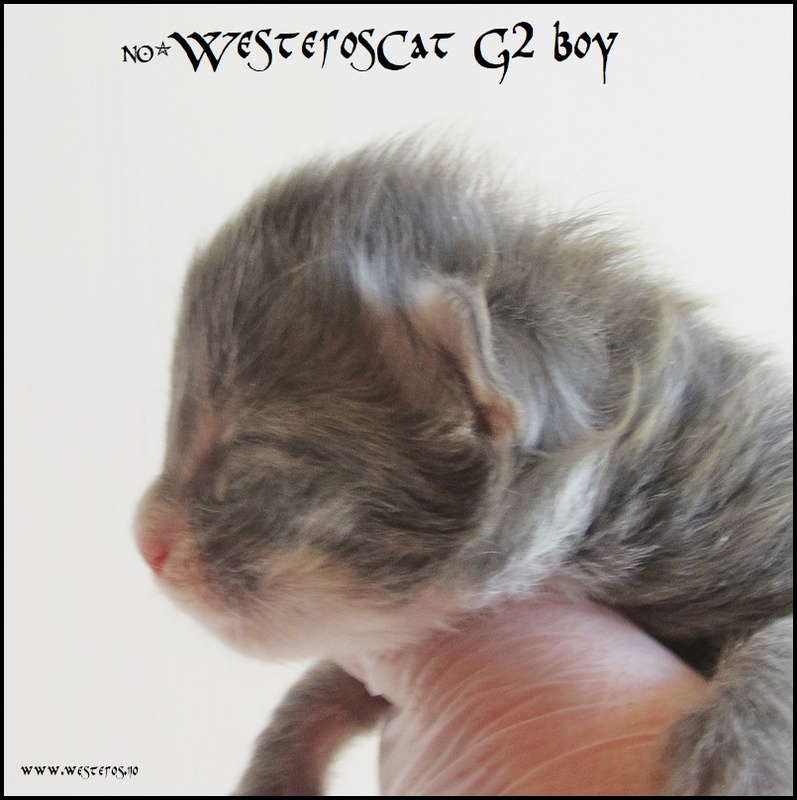 He is mackerel tabby like his siblings, but pattern less developed so far, not as strong and clear as his brother’s. 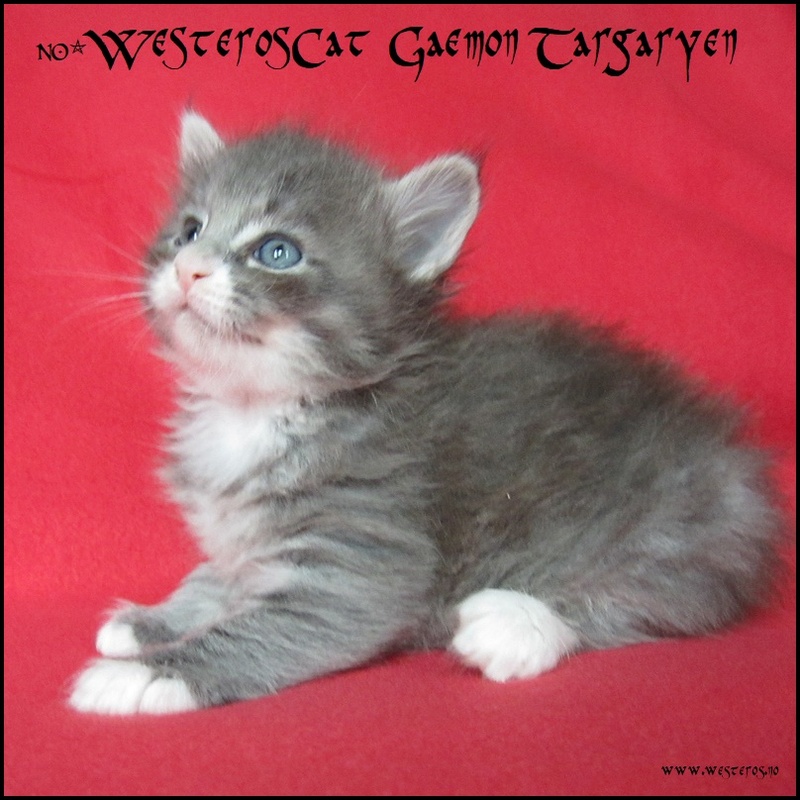 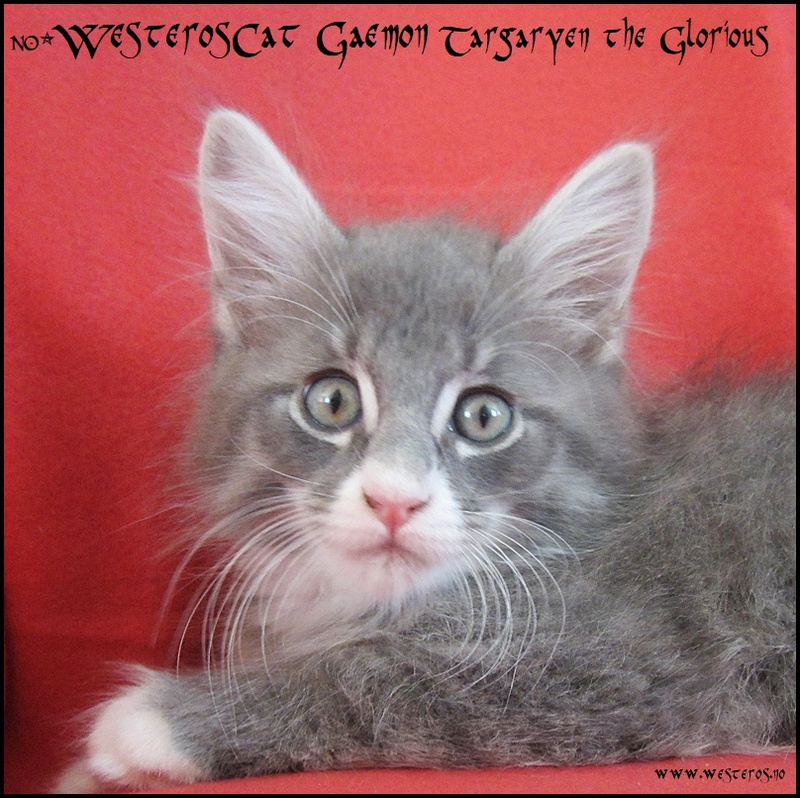 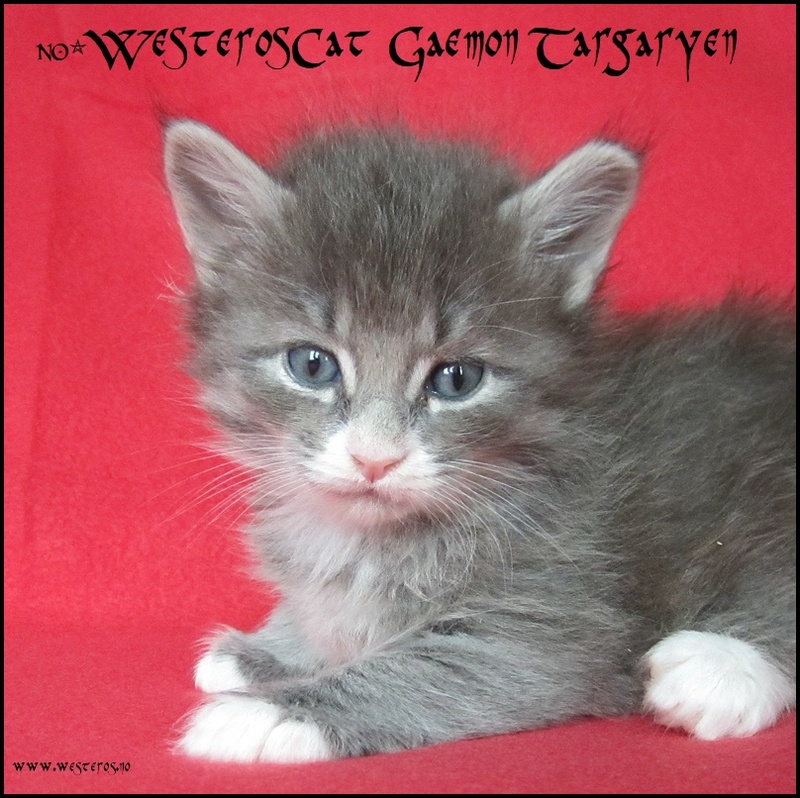 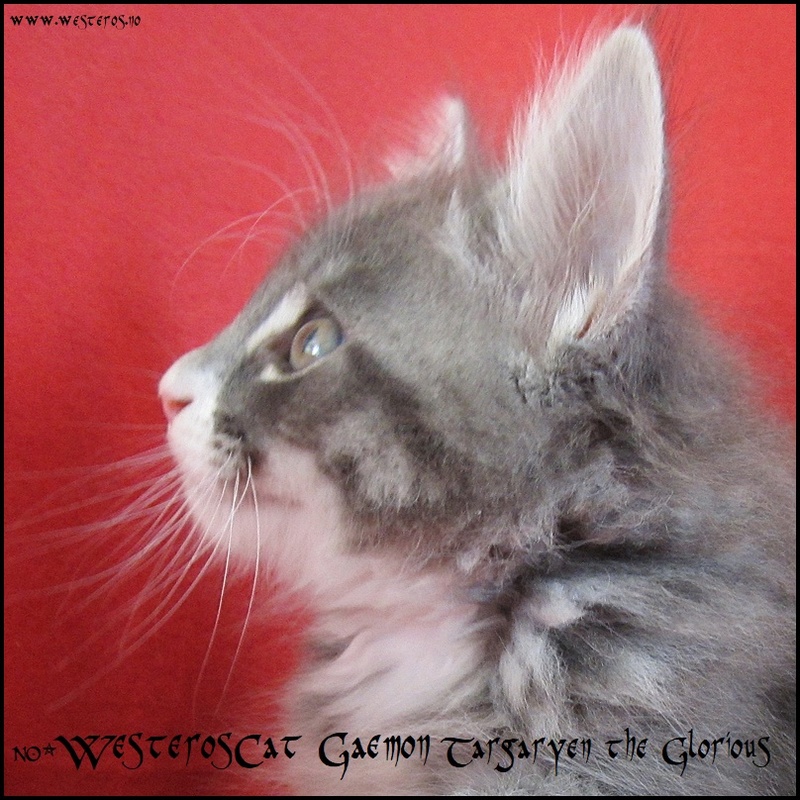 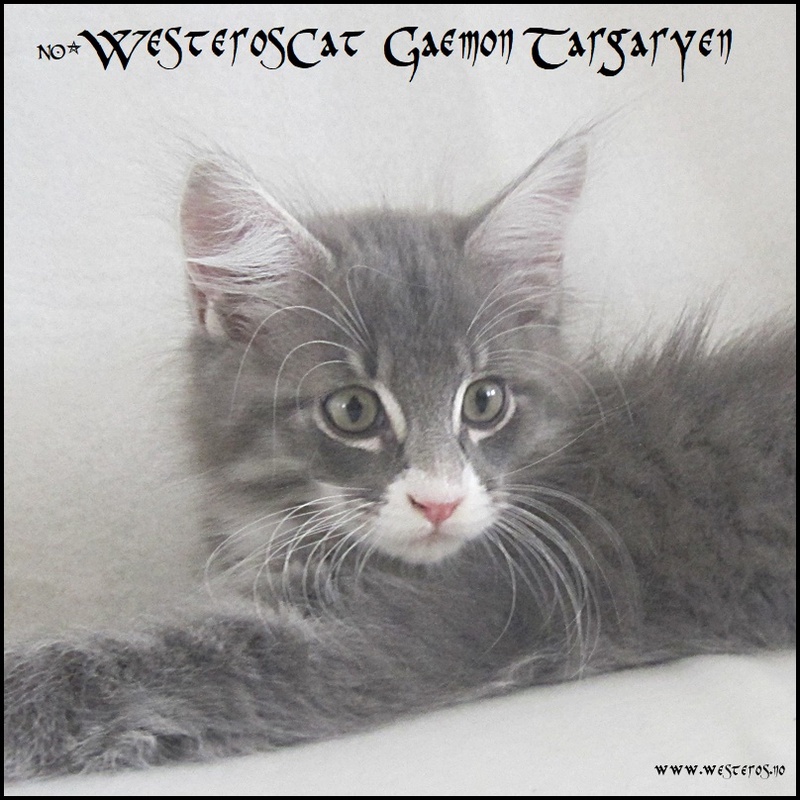 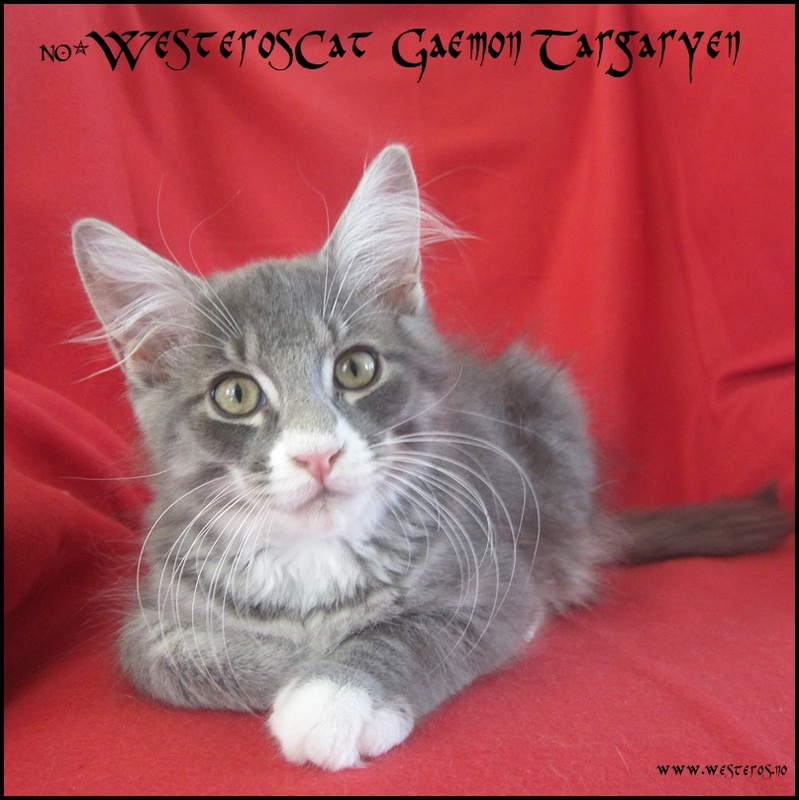 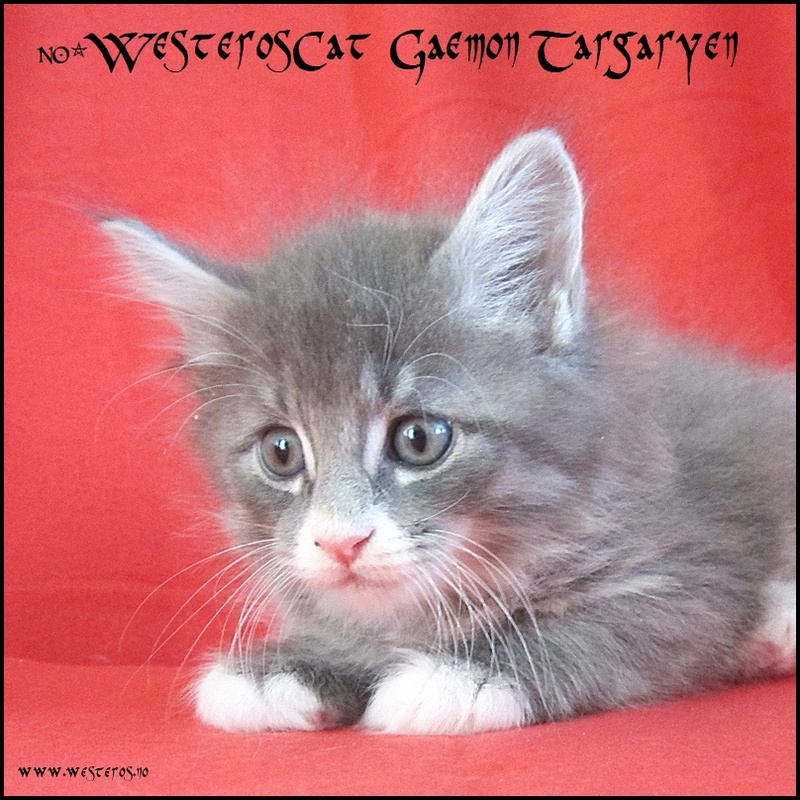 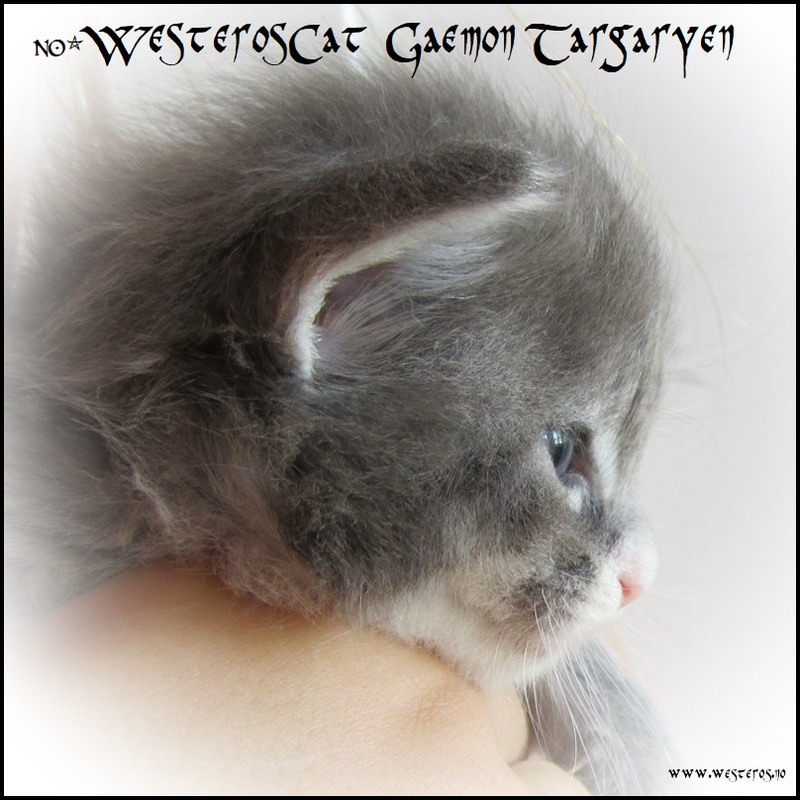 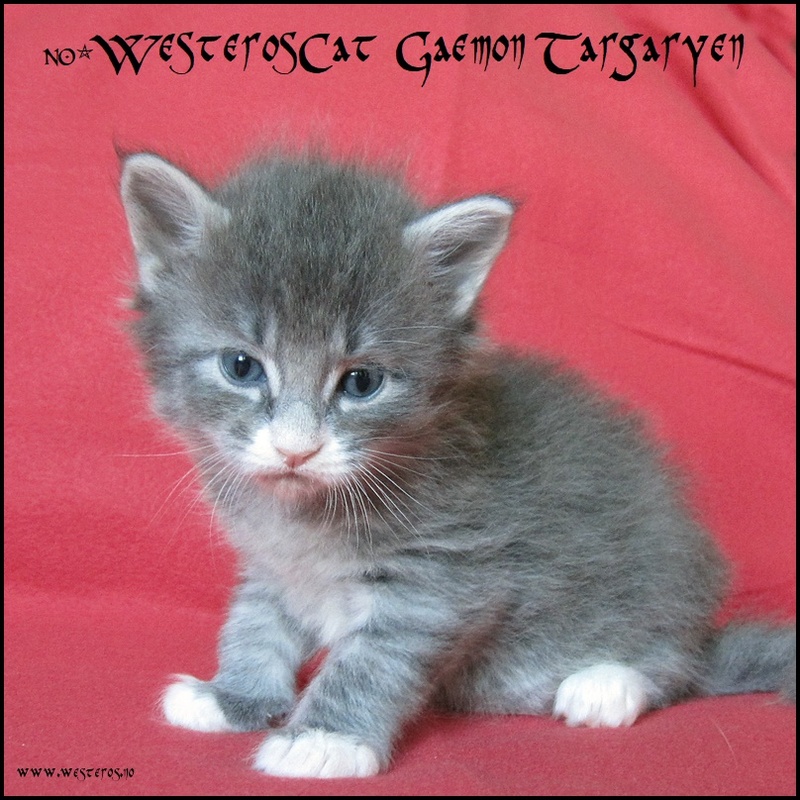 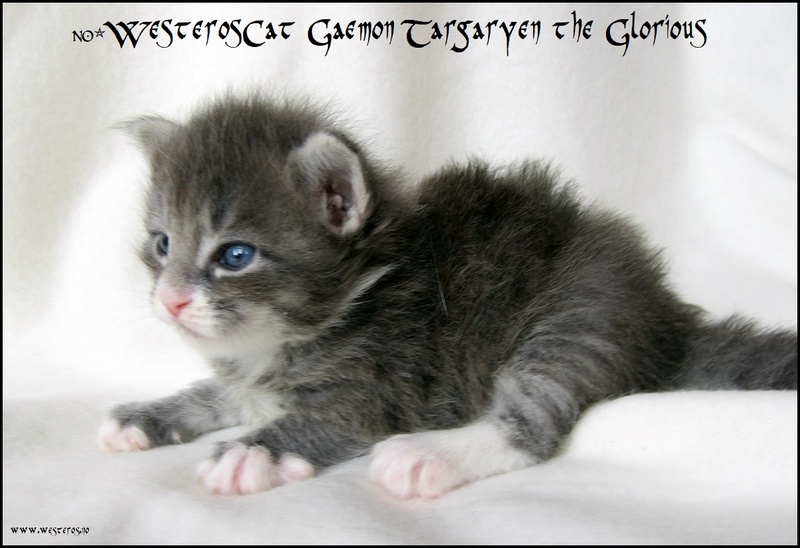 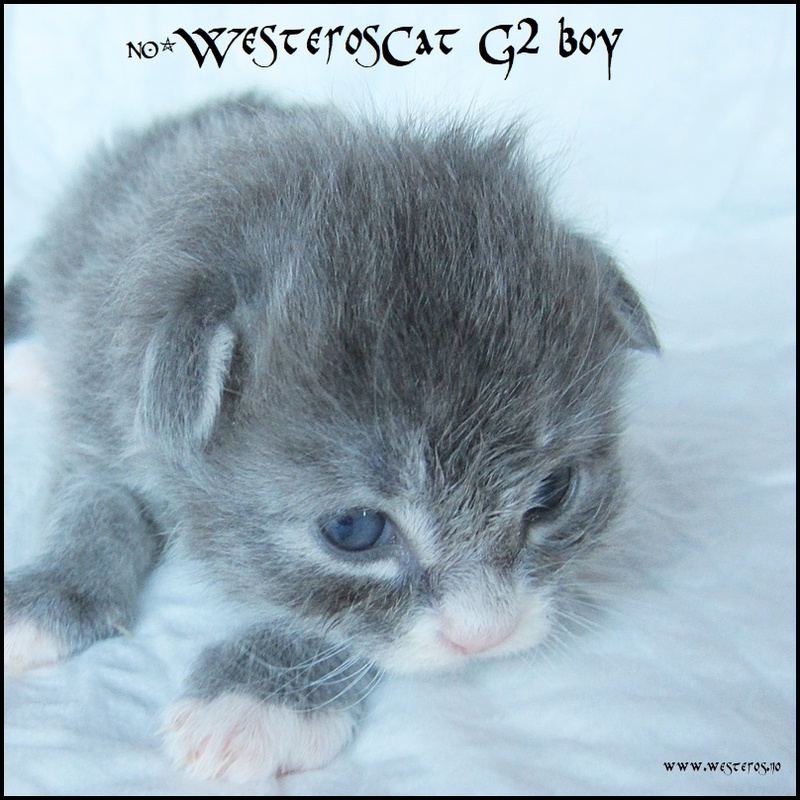 Gaemon takes after his grandsire Aegon and seems to get his look, but with better ears. 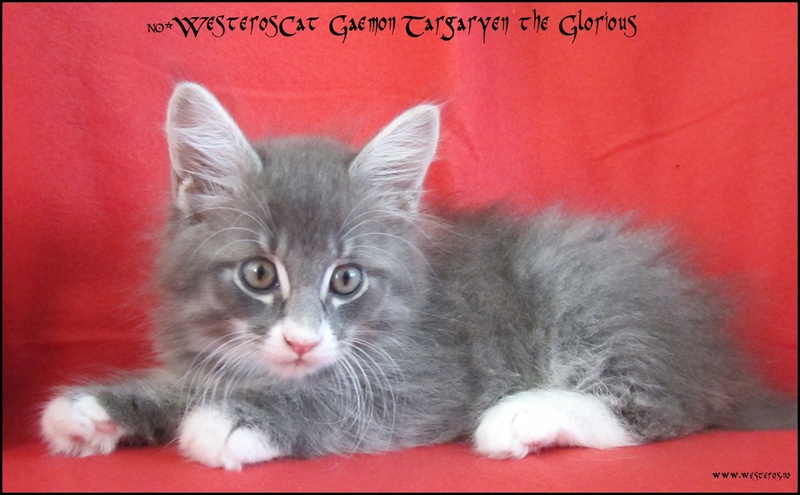 Andremann i kullet er en kraftig gutt, blåtabby med hvit snute, tigret tabby. 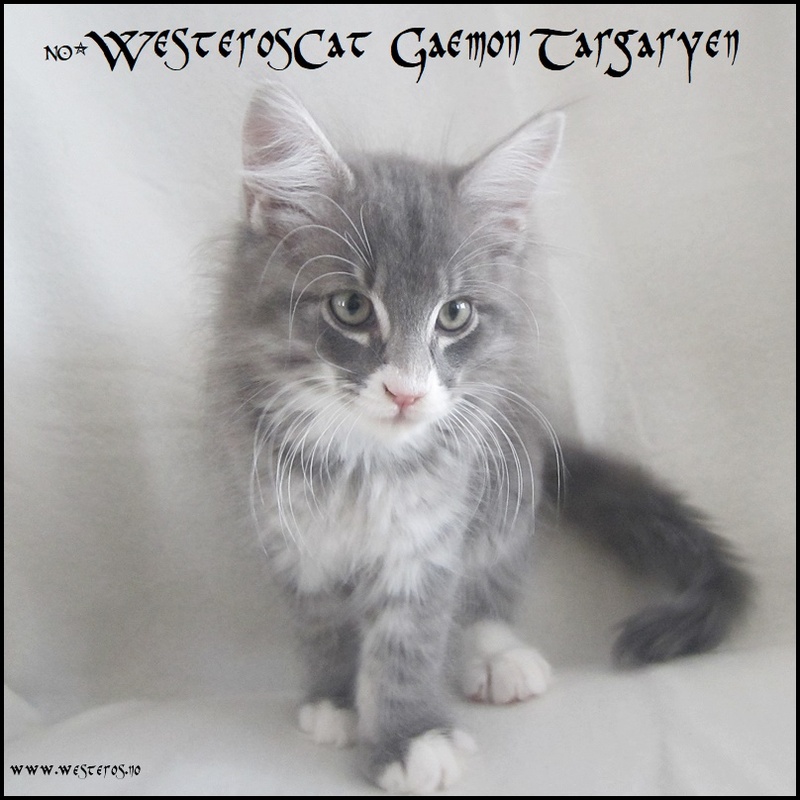 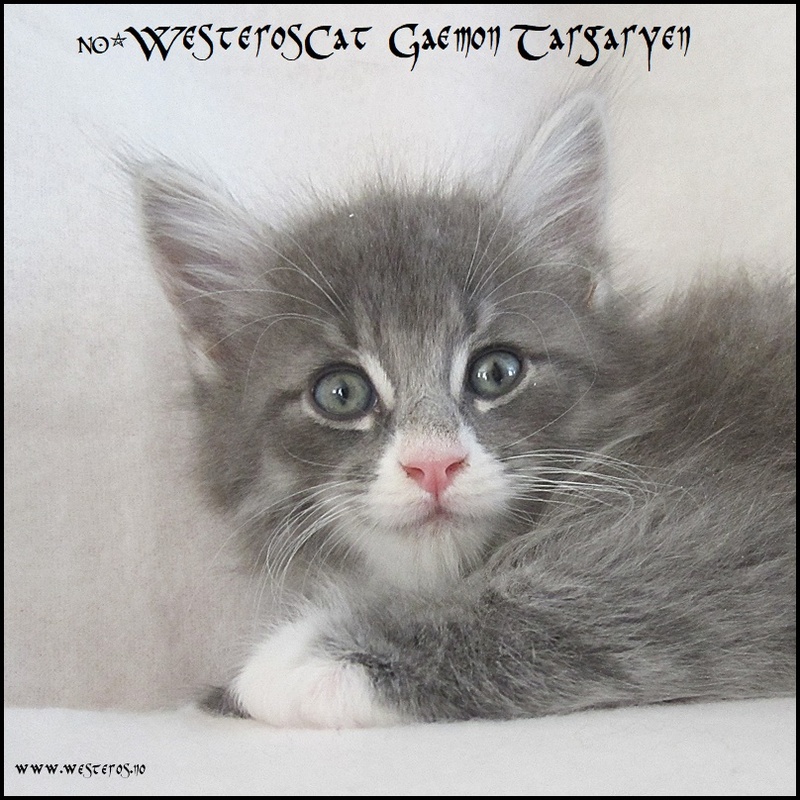 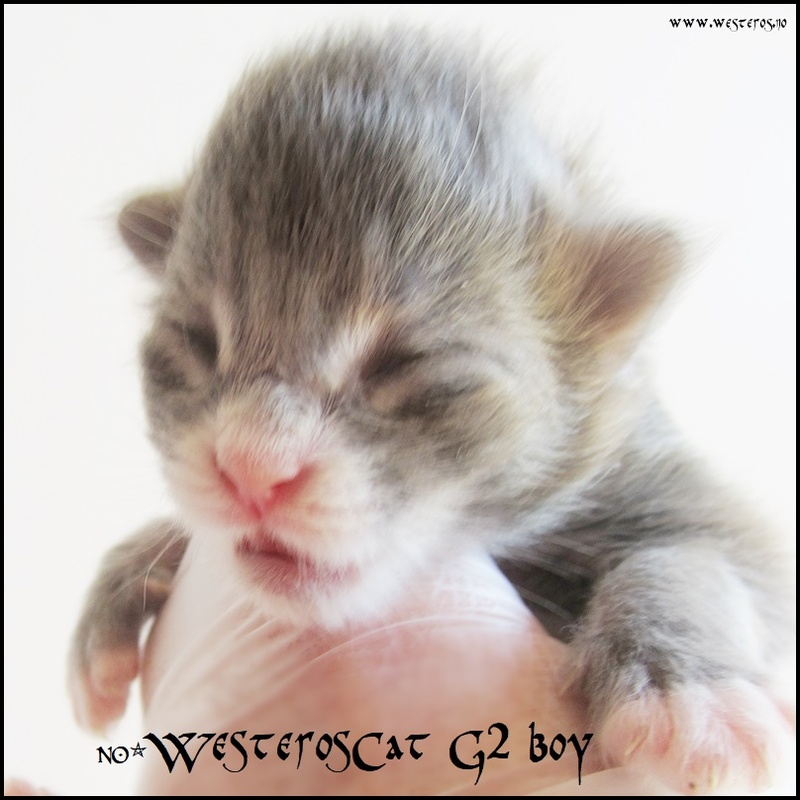 Han heter nå “Ludwig”, og har flyttet og bor sammen med en annen WesterosCat, “Lakris” NO*WesterosCat Famous Missandei fra F-kullet.